Vanum was formed in 2014 as the collaborative project of K. Morgan and M. Rekevics. Drawing from the old traditions of the genre, Vanum play elemental and majestic black metal with an unyielding force and passion, showcasing a sharply focused and dynamic sense of composition marked as much by somber patience as arrogant strength. 2019 will see the release of Ageless Fire on Profound Lore Records. Expanding upon the triumphant framework hinted at with 2017’s Burning Arrow EP, as well as the majestic fury of 2015’s Realm of Sacrifice, Vanum’s newest effort sees the band continuing to chart a path of steady ascendency and constant growth. While the the album’s overt Bathory-by-way-of-Hellas inspiration is of note, Ageless Fire is by no means a throwback album. 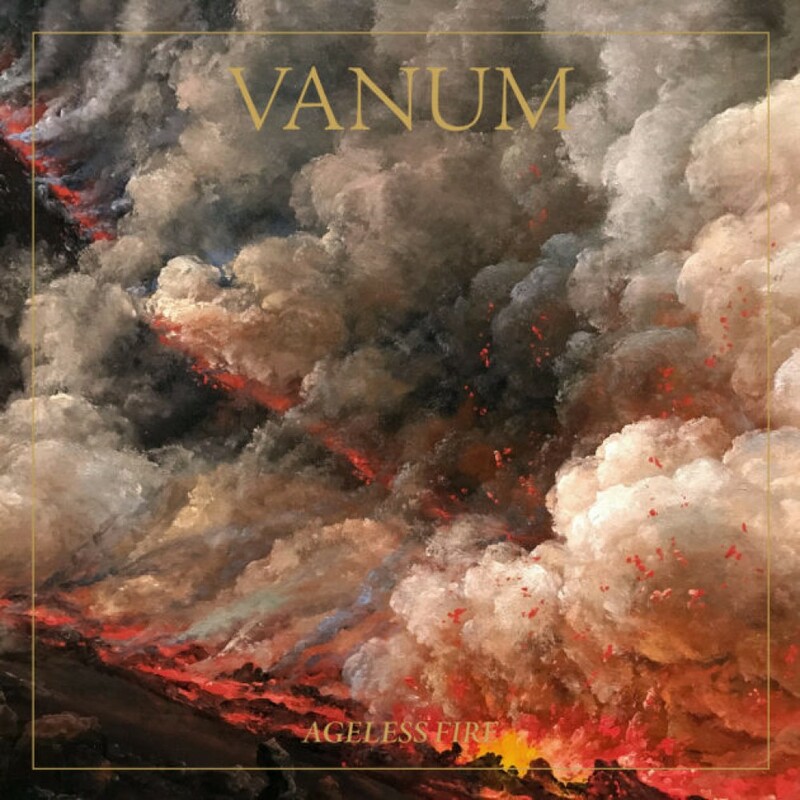 The towering songs that make up the album emerged organically, and naturally reflect their heavy metal lineage as much as they also reveal the essential core of Vanum’s own unique identity. This ability to interpolate influence and individual inspiration into a seamless and deeply resonant whole make “Ageless Fire” more than simply an exercise in emulation and further cements Vanum’s place as a singular band, in reverence to the past while looking defiantly towards the future.